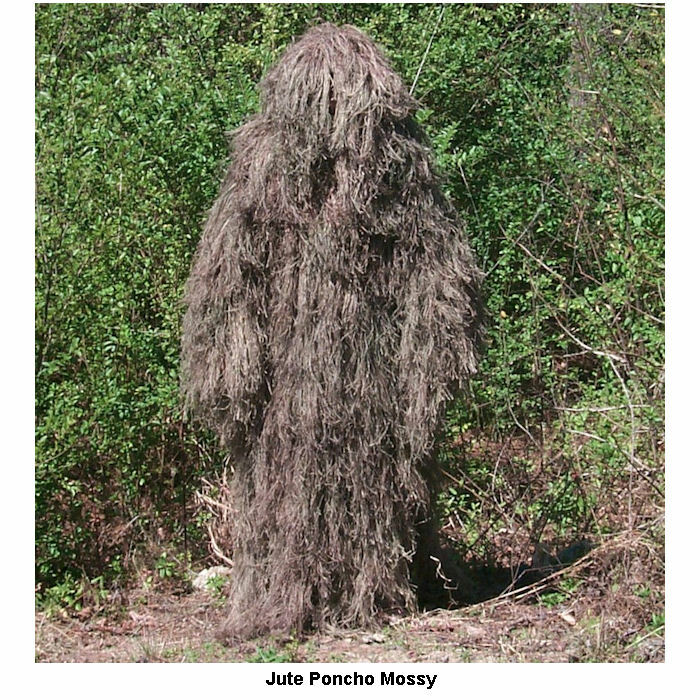 This is a one piece camouflage Ghillie Poncho. It can be trimmed to fit your height. 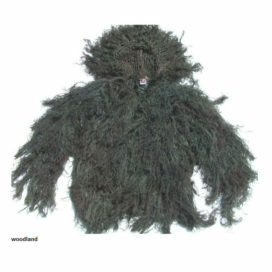 It has sleeves for your arms and an attached hood. The Poncho comes ready to wear as is, but you can also attach it to BDU’s to make a Jacket and Pants set. 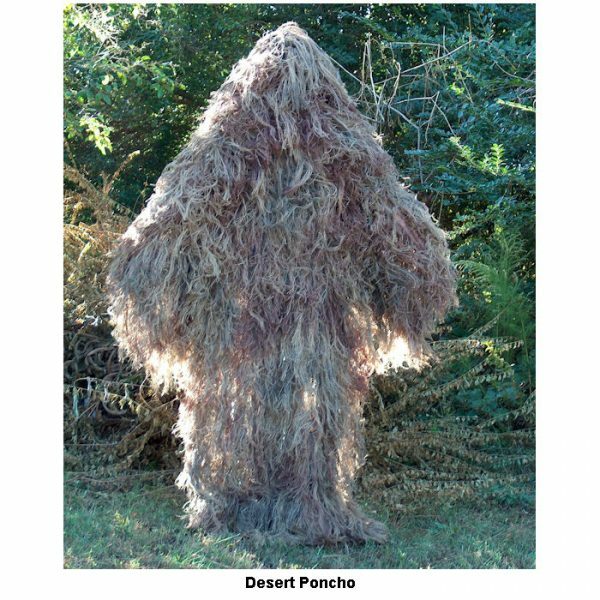 The Poncho has a 2 layer design with nylon netting as the base and Jute thread tied to the netting. 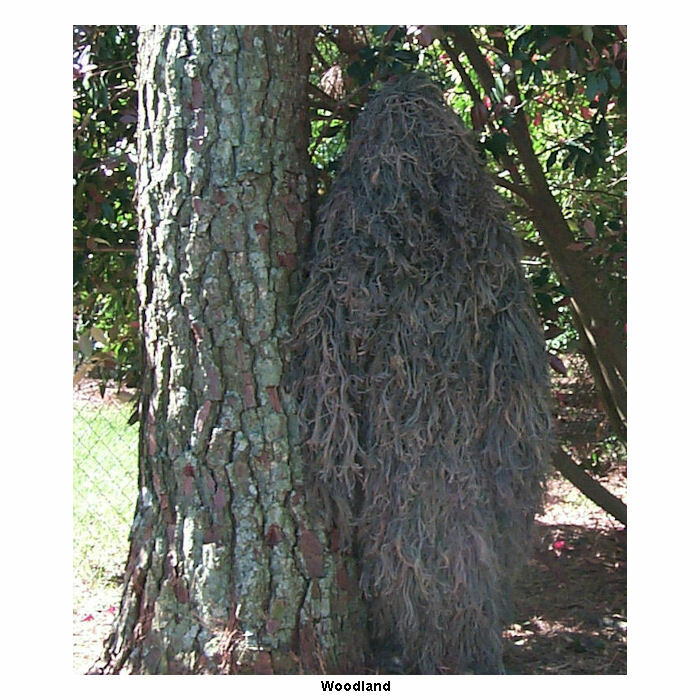 With nylon netting as a base it is comfortable enough to wear over a t-shirt. Jute thread is hand tied twith over 3000 knots to a 5′ x 9′ knotted nylon net. The netting has 1″x1″ squares, and is rated at 500 Lbs. tensile strength. 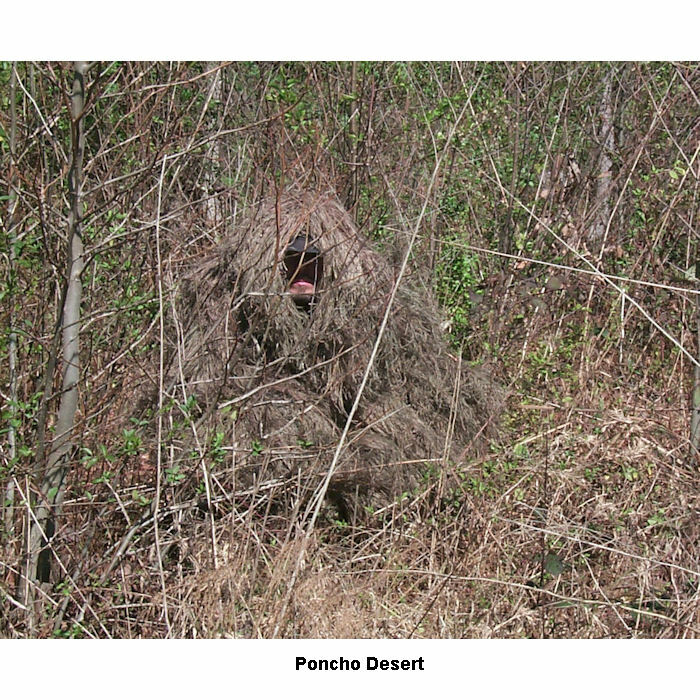 The Jute thread has 10-12 Lbs of tensile strength per strand. 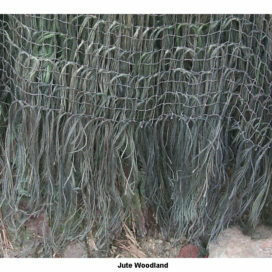 4-5 strands of Jute thread are attached to every knot. The actual weight for the Full Poncho is 7.5 Lbs. Really cool stuff, with it, I can communicate qith wookies ! A care instruction would be a plus. Besides that, i’am very happy with the product in terms of quality ect. 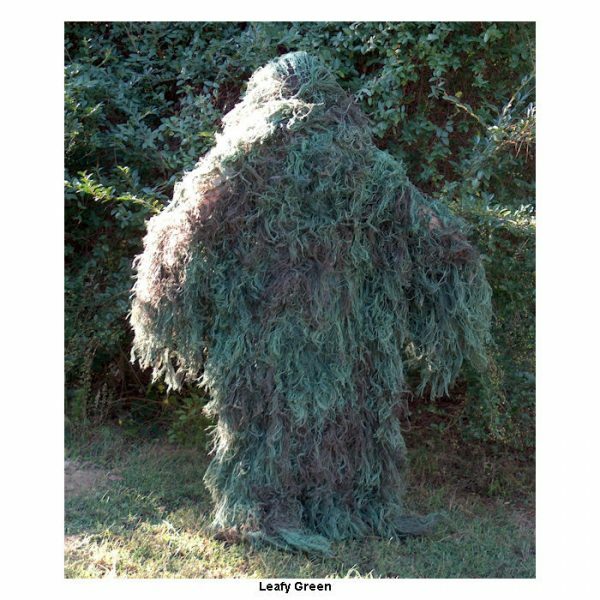 Good for squirrel hunting , practical jokes , but we cannot get that smell out of it even after washing, we bought this suit for deer hunting but they smell us every time even in elevated stand , but turkey, squirrels, rabbits , people can t see you , if the company can tell us how to eliminate , that jute smell please inform us. 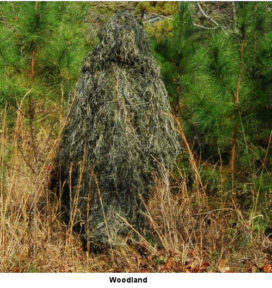 I wanted a ghillie suit that I could use for bot airsoft, and hunting. 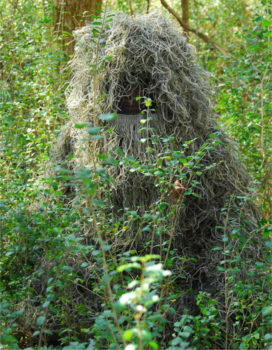 I have yet to take it hunting, but it has kept me hidden as team sniper for airsoft. 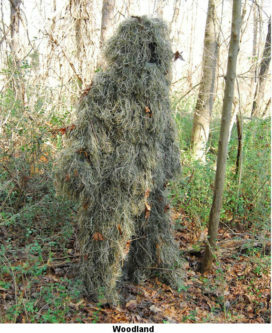 I would reccomend this suit for anyone that wants a good woodlands Ghillie suit.Pros- awesome suit overall, nice camouflage, keeps you hidden wellcons- a few strings come loose but not a big deal, frequently step on the material when I am walking because the suit is shaggy at the bottom, knows are loosely tied.But this is still a very good suit. 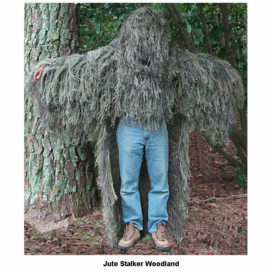 It comes with extra shag to put wherever you would wish to match your environment best. The only thing that could have helped was a care instruction sheet regarding if you can wash or clean it… Loved the product!! This suit is just what I needed. 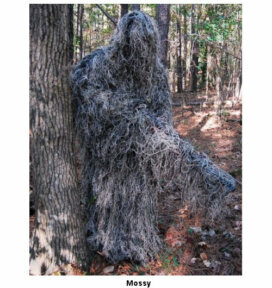 It it blends well into the wooded area here in the mid atlantic where I hunt. 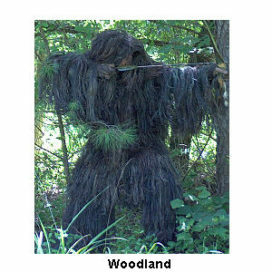 I have plenty of room to use my crossbow. I have already recommended it to several fellow hunters.